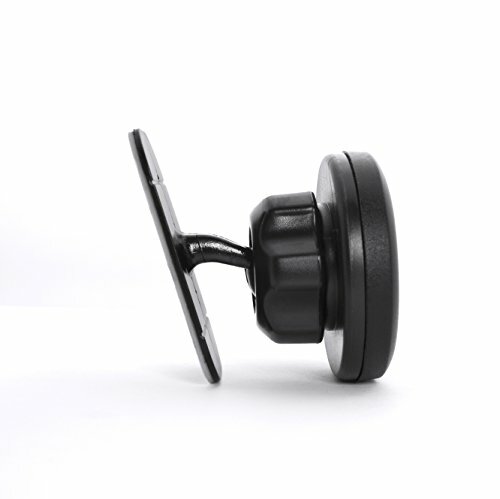 Unlike other products, The MagGrip Sticker Dash Mount base is designed to not block your air vents, and to stay out of your view of the road by sticking to the dashboard instead of your windshield. 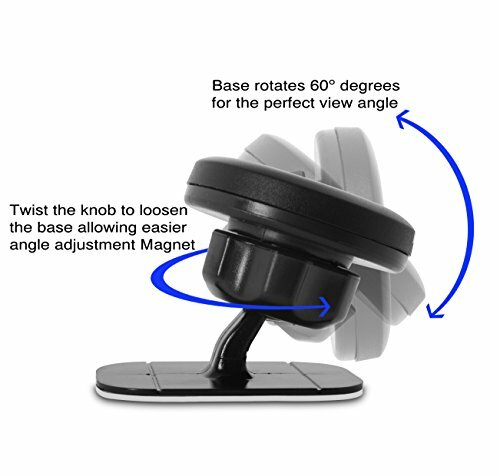 The moveable, flat, magnetic top allows you to rotate and/or tilt your phone to the perfect viewing position. 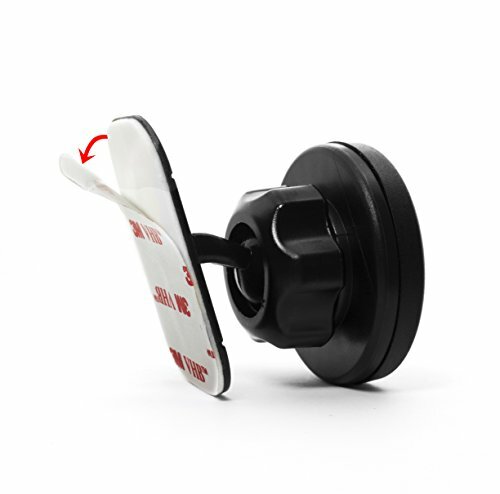 Included Magnetic Plate Stickers adhere to your device which holds it to the mount no matter how bumpy the road is. 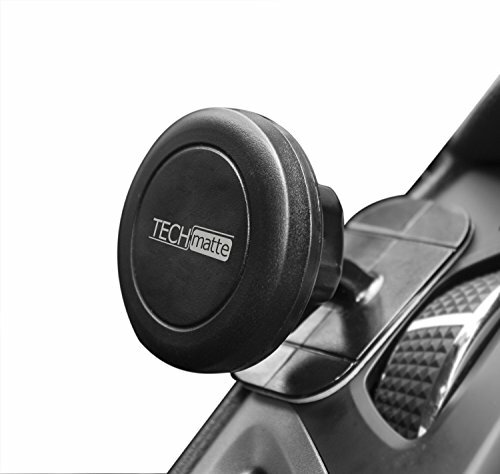 Premium construction of durable, sturdy plastic and rubber. 30-day Money Back Guarantee and 1-year Replacement Warranty. 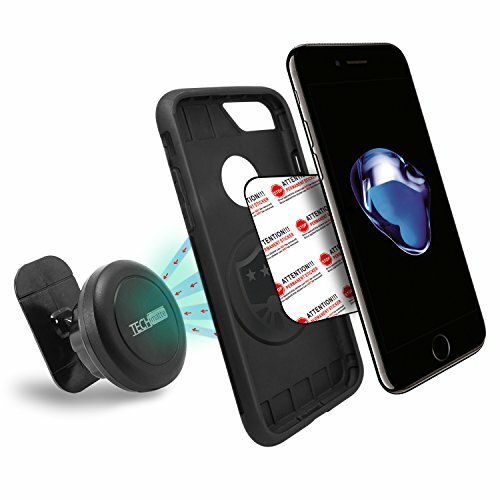 -For Qi-enabled phones, the included small circle plate is recommended as the square plate could interfere with wireless charging. 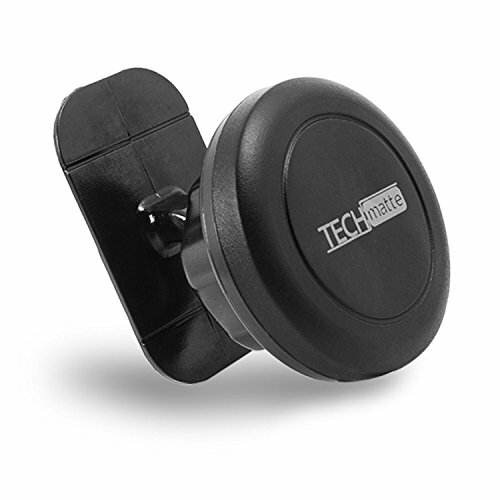 -The included metal plate may not work properly with devices that feature a curved back. The surface on the dash of my car where I'd like to place this is curved. Will the base of the mount curve or is it stiff (i.e. not meant to bend)?